This is a follow-up post to the BC Stats post I made a few weeks ago, that shares one of the remarkable things I observed: The dramatic drop in housing permits that happened after then Premier Campbell resigned. The chart at left tells the story: It's an indexed plot of residential housing permits issued in the months along the bottom. In Purple is BC and in Black is all of Canada. the red line is baseline of the index - set to 100 in July of 2008 - before the recession hit. 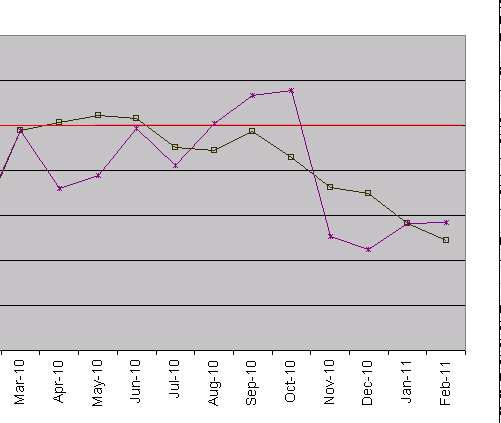 See that big drop in the purple line in November 2010? Premier Campbell announced his resignation November 3rd, and my interpretation is that most builders in BC thought "uh-oh - the HST could get killed after all" and decided to hold off on permitting plans to see what would happen. The HST has been causing a lot of uncertainty in the housing market, because in the previous GST/PST system, a lot of construction services for installed goods were subject to GST only (at 5%), but now are subject to a full 12% - resulting in an effective price rise for the end consumer of around 7% for many construction projects. Because of the uncertainty, some people are holding off on these purchases and plans. Personally, I'm in favour of the HST as a tax, despite it hurting the industry I'm employed in, however - I'm not in favour of the uncertainty of whether it will stick around or not. Although it does make for an interesting chart. 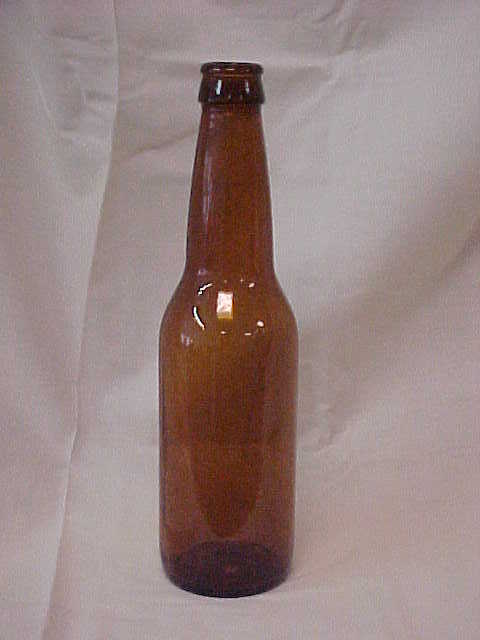 It's green to drink beer that comes in standard bottles. The industry standard beer bottle (ISB) is reused around 15-20 times, (depending who you ask) and that's much more efficient than being smashed up, melted & re-formed into new bottles - as happens when bottles are recycled. Reduce. Reuse. Recycle. - Reuse comes before recycle. A lot of the the craft beer and micro-brewery beers that are so popular at the moment - particularly among the hippie crowd seem to come in large - funky lookin' non-standard bottles that aren't as easily reused, and so are less environmentally friendly. That bothers me - hippies are supposed to like green choices. Vote with your dollars - buy your beer in standard bottles.